In November 2015, my dream came true and we finally made it to Machu Picchu, Peru. I have been fascinated by the Incas and all the mystery about their empire since many years and trip to Peru was very important to me, particularly visiting this site. 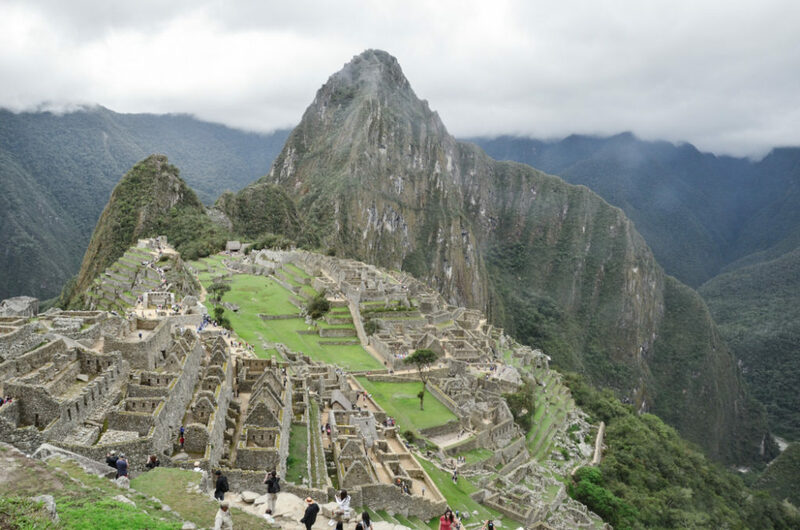 As there are many things you must know before you go to Machu Picchu, I hope this post will help you to plan one of the best trips of your life. When is the best time to visit Machu Picchu (season, day, time)? Season(s): Beware that the rainy season in Peru starts in December and finishes in March/April and the period between May and September is considered as dry. Considering the high season in Peru is between June and September, that brings us to the conclusion that if you prefer to have less tourist around and low probability of rain, the best period to visit Machu Picchu would be in May or late September and November. Time: The Sanctuary is open daily from 6:00 a.m. to 5 p.m. If you wish to take some nice morning pictures of nearly empty Machu Picchu, I recommend you to get the first bus that leaves at 5:30 from Aguas Calientes, so even if you plan the Wayna Picchu hike at 7 a.m., this gives you at least one hour to explore the Sanctuary without crowds of tourists and take some beautiful pictures of the site. You just risk having few llamas on your pictures (not that you mind, right?). 😉 And don’t worry about the light as the sun rises early in Peru. In any case, you need to book your tickets in advance! There are 2 main reasons for that. First, there is a limit of 2.500 visitors each day allowed on the site of Machu Picchu and if you wish to climb up the Wayna Picchu, beware that there, the daily limit is only 400 visitors and therefore the tickets need to be booked and paid weeks to months in advance (of course it depends on the season). Second reason for booking your tickets in advance is that they can’t be purchased on the spot. If you have a VISA credit card, the best option for you is to book your tickets online on the official website where you also see directly the availability. The reservation is only valid for 3 hours and you can only pay with VISA credit card or if you are in Peru already, in any cashier at Banco de la Nación. Another option is to buy your tickets either via travel agencies (which is often more expensive but might be a good option if you are looking for a complex solution with transport etc. ), or you can get them personally in the cultural center in Cuzco or Aguas Calientes. 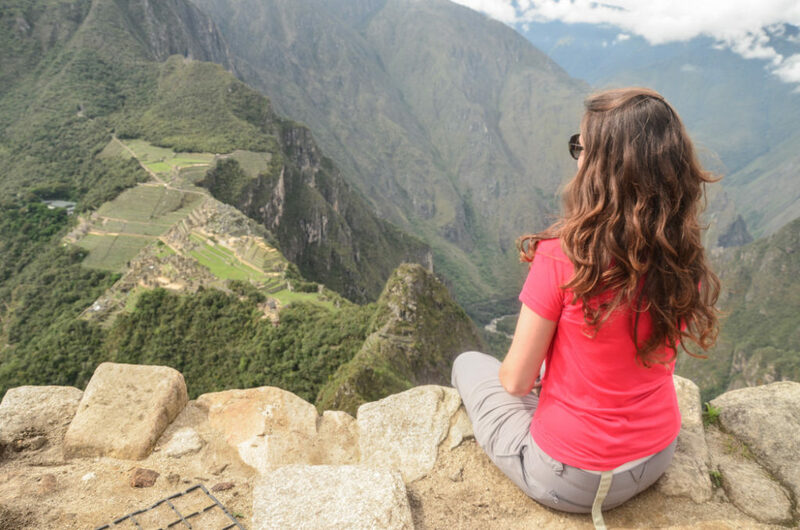 The price of the day entrance to Machu Picchu is USD 128 and if you want to hike Wayna Picchu, the price per person for the combined ticket is USD 152. Probably the most beautiful way is to take the few days’ trek Inca trail (as it is one of the best world’s treks, needs to be booked well in advance too). But if you are limited with time, I suggest you take a colectivo from Cuzco to Poroy or Ollaytetambo from there you take the famous train to Machu Picchu to Aguas Calientes. 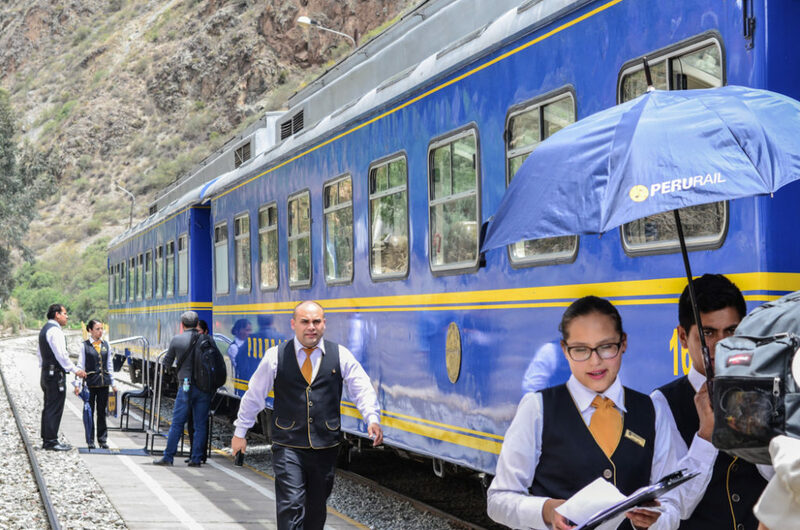 You can get more information on the official website of the two rail companies operating between Cusco and Machu Picchu – Perurail and Inca Rail. The best plan is to stay overnight in Aguas Calientes so that you can start your visit of Machu Picchu early in the morning in order to avoid crowds of tourists on your pictures. Every 30 minutes, there are buses going up the Machu Picchu from the center of Aguas Calientes since early morning. The 25-minutes bus drive costs 12 USD. If you want to climb up or down on feet, then it is a good exercise that takes around 1 hour. From Waya Picchu, you will get a complex view of the whole site! 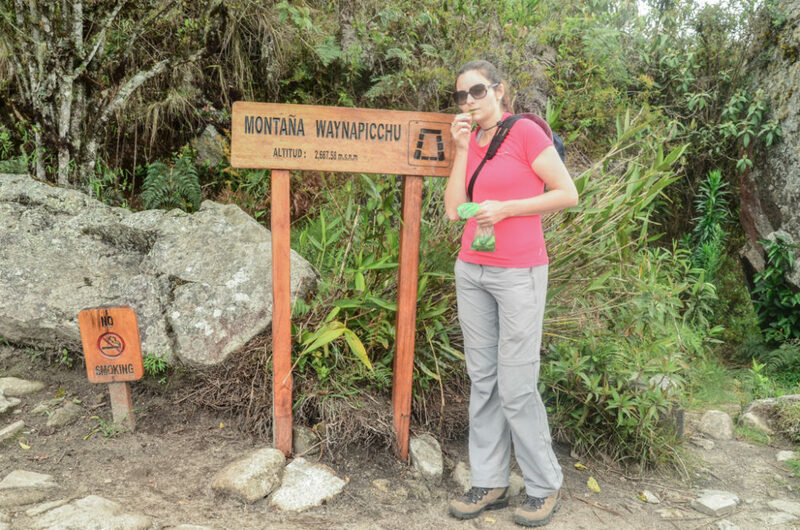 A very nice hike is to climb up the Wayna Picchu mountain which is the tall mountain behind the Machu Picchu citadel on pictures, from where you will get a complex view of the whole site. To climb up the mountain is a real victory sensation for amateurs of mountain hikes. It takes about an hour, but the path composed mainly of stones of all shapes is very steep and some people need to stop to take the breath every 5 steps. In one hour you get from 2.430 m to 2.800 m above the sea level. You should, therefore, be in a good physical condition and the hike is not recommended for those who suffer from vertigo. There is a daily limit of 400 visitors on this mountain, a group of 200 at 7 a.m. and another group of 200 people at 10 a.m., which means that you need to book the tickets weeks to months in advance, depending on the season. During the summer period, I recommend you to take the hike at 7 a.m. as after 10 a.m., you risk to face a strong sunshine and heat. In many cases, hiring a guide at the entrance to Machu Picchu is not worth the investment, unless you have good references for any particular one. As there are no written sources of information regarding the Inca empire, lot of questions stay unclear even to historians. We were listening to some guides while passing one spot, and we heard three different stories/explanations. The coca leaves can be bought in Peru and it is the natural remedy to prevent the high altitude sickness. And how to spend your time in Aguas Calientes? Aguas Calientes is the place where many people stay overnight in order to have the whole day for the visit of Machu Picchu. 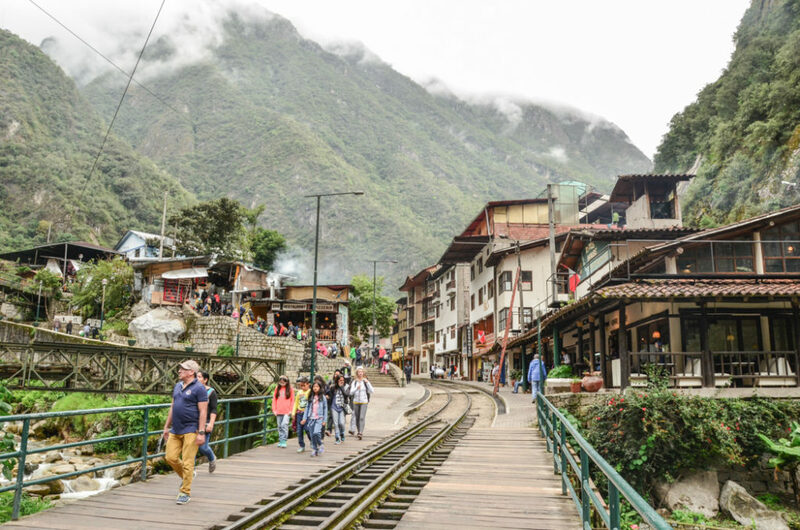 You can easily spend your free time in Aguas Calientes by either relaxing in the thermal springs or have a 90-minutes’ long walk on the railways in the forest to Mandor waterfalls and botanical garden. There is also a huge market with souvenirs, so you can do some shopping for your beloved ones. So this is it! 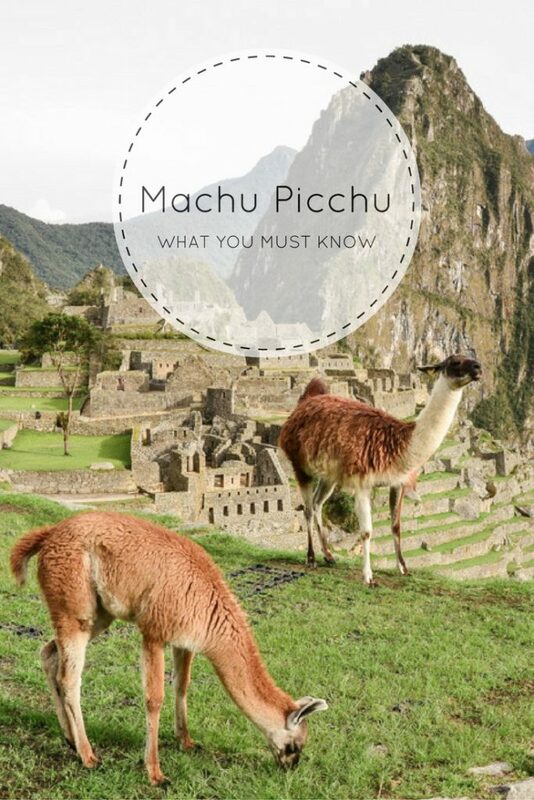 These are my pieces of advice and important information you need to know while planning your trip to Machu Picchu. Just beware that I wrote this post in 2016 based on the current situation but some facts and data here (like prices, daily limits etc.) may change in the future and so I still advise you to check out the official tourism website of Peru. Have you been to Machu Picchu? Did everything happened according to your plan or were you surprised by anything? Do you think I forgot to mention something important? Let me know in the below comments! Really great post. provides an excellent resources for when I plan my next trip to the region! Thank you Bruce! Happy to help 😉 If you go, enjoy your trip to Machu Picchu! This place looks amazing! My family and I have been traveling for the past 8 years. It has been a huge adventure and we love every minute of it. Keep up the great work here and live unstoppable! Great post! I constantly keep hearing about Macchu Pichu but never looked it up as it’s not high on my list. Never knew there is a visitor limit. One of these days I will visit that place. So many fantastic tips, I really hope I can get there someday. 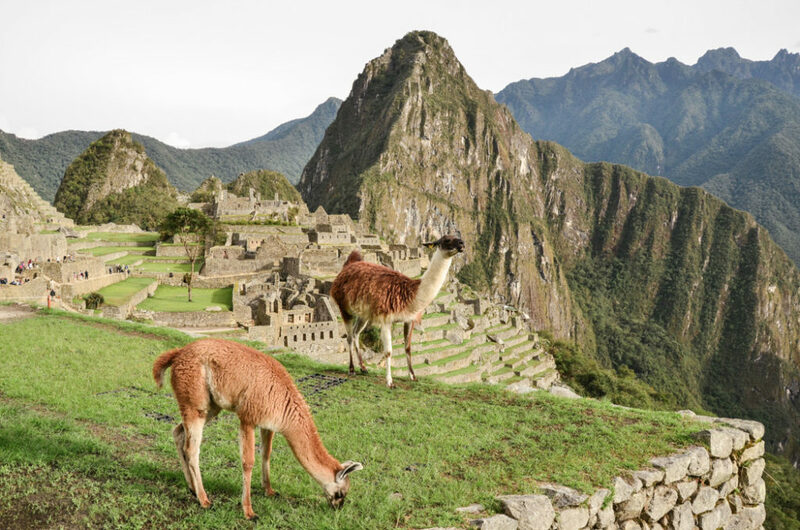 Oh my goodness…it’s on my bucket list to visit Machu Picchu! I’m so jealous!! 🙂 Definitely bookmarking your tips though so I have them for when we make the big trip. It’s absolutely gorgeous…truly unlike anywhere else on earth!